Many homeowners realize the importance of buying a mortgage life insurance (also known as mortgage protection insurance) policy. With that in mind, agents who offer this type of coverage have come to realize that it can be extremely difficult to sell. Most consumers are of the thought that mortgage life insurance is a waste of money. In other words, they don’t think they will ever use this type of policy. That being said, it should be looked at in the same light as every other type of coverage. It is something that consumers purchase for protection, since they don’t know what the future holds. More so than many types of insurance, when attempting to sell mortgage life insurance you must find your target audience. Simply put, if somebody doesn’t have a mortgage they don’t need to consider this type of coverage. Remember, this product is specifically designed to pay the remaining balance of a mortgage loan should the policyholder pass away. Finding clients that have a mortgage and are willing to consider mortgage life insurance is no simple task. While cold calling and direct mail will always be two options to consider, purchasing leads online makes it much easier to target the appropriate audience. Through the use of filters, you can ensure that you are only getting in touch with consumers who are actually interested in this type of coverage. When you turn to a reputable internet lead provider, you will find it easy to find pre-qualified leads. With pre-qualified leads, you know that the consumer is at the very least interested in what you are selling. Also, with pre-qualified leads you are in position to use a variety of filters. For example, you can find consumers with health conditions who may not be able to purchase traditional life insurance. This means they are more likely to purchase mortgage life insurance since the qualification process is less strict. Despite the fact that you have to spend money upfront on mortgage life, remember one thing: you are getting what you pay for. If you rely on cold calling and direct mail, you could go many weeks without ever contacting a consumer who is interested in this type of coverage. When you purchase leads online, this is never the case. Instead, you are only spending time on prospects who are likely to consider everything you have to offer. No matter how many qualified mortgage life insurance leads you generate, you are still faced with a sales process. Just because you are speaking with somebody who is interested in buying a policy does not mean that he or she will actually do so. When you purchase pre-qualified leads, you know that the consumer is in position to purchase a policy. If nothing else, the prospect has a balance on their mortgage and is interested in at least hearing what this type of insurance can do for them. During the sales process, you must explain the benefits of mortgage protection life insurance as compared to more traditional life insurance (whole and term life). 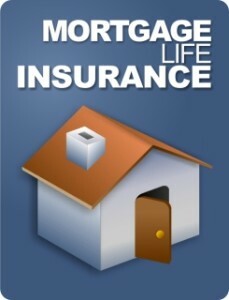 Many people think that if they have life insurance they don’t need mortgage life insurance. How are you going to overcome this common objection? With every sales call you will learn more about the process, including how it typically unfolds. Soon enough, you will devise a strategy that helps yield the best results. The ability to purchase pre-qualified life insurance leads via the internet will make it easier for you to contact interested buyers. From there, let the sales process begin! It seems even harder to find a place that sells it, everyone just wants to sell you life insurance. That’s right!! Selling mortgage life insurance policies is not an easy task. It requires a lot of efforts and skills. Thanks for sharing these tricks. I really appreciate your efforts. Great info here! I saw a similar article on creating your own DM campaign for MP. Will start this soon!